The 1984 classic, Ghostbusters, starring Bill Murray, Dan Aykroyd, Harold Ramis, Rick Moranis, Sigourney Weaver, Ernie Hudson, and Annie Potts (phew - what a cast!) is first on my list of October fun picks for family movie night. 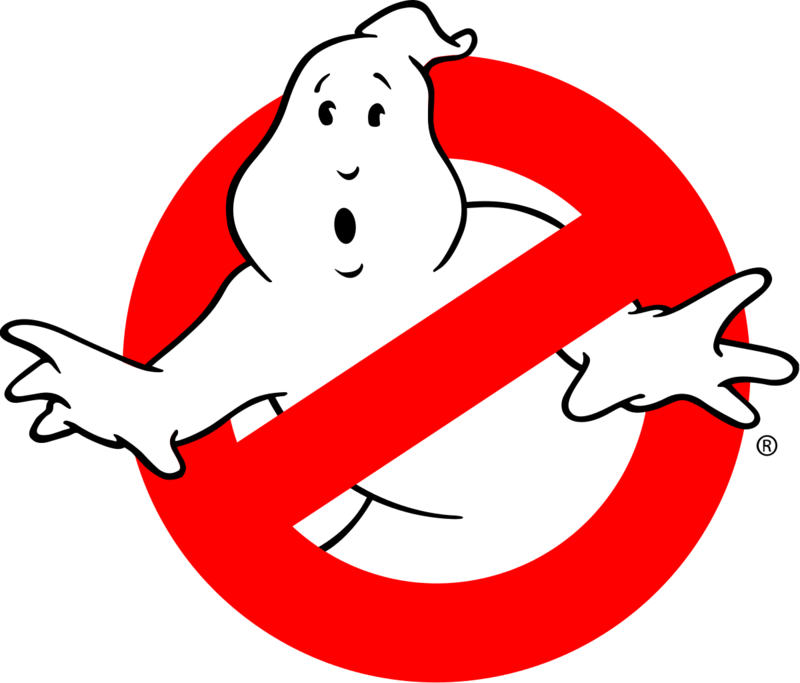 Even today, audiences of this movie can't help but shout out "Ghostbusters!" anytime someone asks, "Who you gonna call?" However, I will caution parents up front. This is yet another one of my "highlighted classics" that was rated prior to the implementation of a PG-13 rating. Ghostbusters is rated PG for sci-fi violence, language, some scary images and brief suggestive content. After watching this film again for the first time in decades, this time with my eleven year old, I can confidently say this film would today be rated PG-13 for all the above reasons - language and content in particular. The language is stronger than in any other PG film I can recall, and, in addition to seductive scenes with Sigourney Weaver (at one point my son said, "Wow, she's showing a lot of skin!") there are references to menstruation and the main characters have cigarettes in their mouths throughout the film. All that aside, Ghostbusters remains a classic that is fun to share with your children of appropriate age. Peter (Murray), Egon (Ramis), and Ray (Aykroyd) are parapsychologists teaching at a university. They lose their grant, but with the increase in supernatural activity being reported in NYC, they decide to open up their own business and profit from the epidemic of ghosts plaguing the city. After their first successful capture of a ghost, they become instant heroes and are in high demand. However, they quickly learn that the entire city is at risk of being taken over by paranormal creatures from another dimension. At the heart of the crisis are Dana (Weaver) and Louis (Moranis) who both become possessed. There is an exorcism-like scene complete with levitation as Peter attempts to rid Dana of the spirit possessing her body. In my opinion, none of the ghosts are too scary, but very young children might feel differently. What captured my son's attention the most (my future film director) was the very outdated special effects which he found humorous and limited the scare-factor. And, who doesn't love the Stay Puft marshmellow man? Overall, Ghostbusters is a fun film to kick-off a month of Halloween family movies as long as parents are aware that it is really a PG-13 film. Read my review of the REBOOT Ghostbusters 2016. Greate Excellent article pieces post . Keep writing posting such kind of information info on your blog page site . Im really impressed by your blog your site it .